Laurie Cross has been making cars shine for more than 30 years. The owner of Distinct Auto Detailing in Reno, Cross has operated a multitude of car washes in the “Biggest Little City in the World” over the course of her career. She’s no stranger to car care, that’s why clients trust her company to prepare their vehicles for Reno’s annual Hot August Nights showcase. Below, Cross goes into a bit of detail about preparing cars for the world-renowned auto show. Q: How long before Hot August Nights begins to you start working on vehicles for that show? A: We can get them in as early for six months before show. Sometimes we will get the entire vehicle, while other customers will bring us only a portion to detail, like the bed of a truck. Q: How long does a Hot August Nights detailing take? A: It depends on vehicle type, its size, make and model. Some vehicles can be prepped in as few as several hours, others take a lot more time than that. Q: What has been your favorite car to prep? 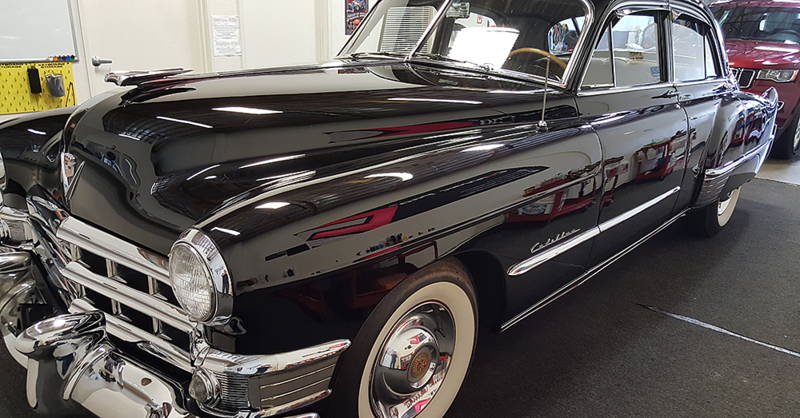 A: A black 1957 Cadillac in original condition. That’s rare to see, especially with its original paint. We also care for a Ford Model T with its original ostrich skin interior. Q: How many vehicles will you detail specifically for Hot August Nights in a given year? A: About 10. All of Hot August Nights participants are very particular! Q: What general advice about car care can you share with us? A: Be careful when using car dusters. Since dusters have wax in the fibers, you should wash the duster and reapply spray after every use. A safe alternative is using a clean microfiber towel. Q: What's one of your must-have items for car care? A: A terry cloth or microfiber towel for washing. They're great for cleaning and don't leave swirl marks or scratches. Q: How often do you recommend using a clay bar on the paint? A: Claying can be done after every wash and wax. But it's also fine to do every six months. It just depends on how much time you put into your specific vehicle's appearance.